Starting At $384.57 + Free Shipping! 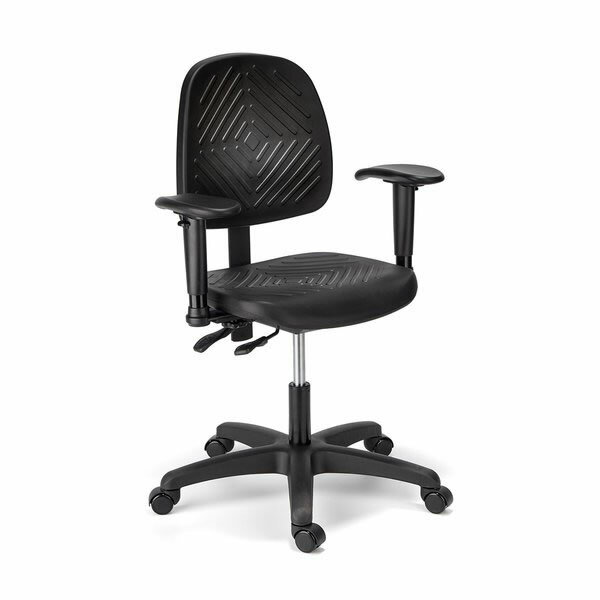 make a selection Small Back 15"W x 10"H Medium Back 16.25" x 15.5"
Supporting up to 300 pounds, the Cramer Medium Back Intensive Use Rhino Desk Chair w/ Urethane Skin is strong and built to last. 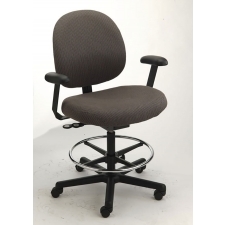 It has a dynamic range of adjustments available to any user who wants a customizable seating option and its high performance sure-lock foot ring allows for comfort and convenience while sitting. With a Cramer 10-Year three-shift warranty, the Cramer Medium Back Intensive Use Rhino Desk Chair w/ Urethane Skin is yours to enjoy for years to come. 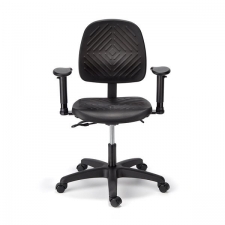 Durable Rhino skin is molded right onto the frame. 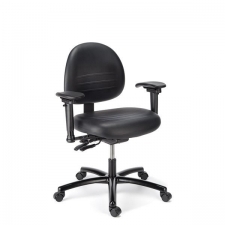 Arms: an intensive use fixed arm option; an adjustable arm option (height range of 6”-10” above seat, inside width range of 19.5”-23”); or a fully articulating arm option w/ slide (adds 3 locking pivot positions, and 2.5” of travel front to back). Casters: universal dual wheel is standard. 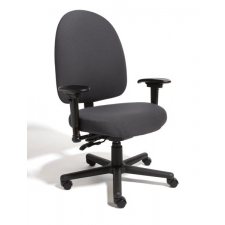 A variety of other casters are also available. 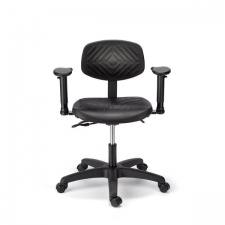 Rounded footring is standard. 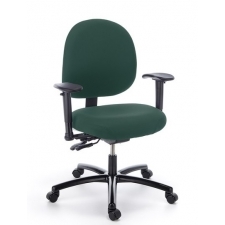 Flat surface (mid and high heights only) or fixed (desk height only) are also available.